CAREER HIGHLIGHTS: Ingenlath moved to Volvo in 2012 as senior vice president of design. 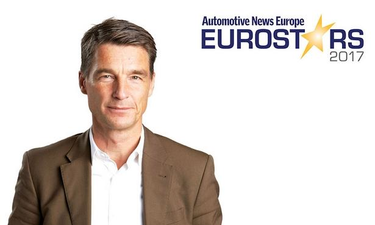 He held that title until June, when he was promoted to chief design officer as well as CEO of Volvo's new stand-alone brand, Polestar. Ingenlath joined Volvo after spending two decades with Volkswagen Group, where he held top design jobs at Audi, VW brand and Skoda. REASON FOR WINNING: When Volvo announced Ingenlath's arrival in 2012 then-CEO Stefan Jacoby said he would play a central role in Volvo's aim to become a top-tier luxury brand. Ingenlath has done that and more. His work on the XC90 SUV, which has won more than 100 awards since its 2014 debut, ignited Volvo's revival. His craftsmanship on the new S90, V90 and XC60 has helped maintain the company's positive momentum. Volvo is on track for a fourth consecutive year of record global vehicle sales.